The family of the Palestinian prisoner in Israeli jails Musab Eshtayeh, from Salem town east of Nablus, expressed their worries about the health condition of their son and called on human rights organizations to pressure Israeli authorities for his immediate release. Akef Eshtayeh, the captive’s father, called for offering treatment to his sick imprisoned son since he suffers from thyroid gland disorders and takes 15 pills a day. The father held the Israeli occupation authority (IOA) responsible in full for any worsening that might occur to his son's health. 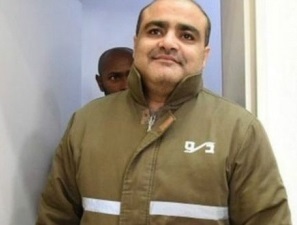 He also accused the IOA with responsibility for his son’s suffering who was infected with the gland disease in Israeli jails resulting in losing 20 kilograms of his weight at the time due to being subjected to wrong treatment during his arrest in 2014. He served a sentence of 16 months. Israeli occupation forces arrested Eshtayeh who was working at a cell-phones shop last week after storming and wreaking havoc inside his home. The Israeli occupation authorities (IOA) on Tuesday issued a decision banning a Palestinian prisoner’s wife from visiting her husband for one year. A PIC news correspondent said an Israeli occupation officer stopped Najwa Khanfar on her way to visit her husband Omar Sherif Khanfar, locked up in the Negev desert jail, and slapped a one-year-visit-ban against her. The wife said she obtained a visit permit from the Israeli authorities via the Red Cross office in Jenin but as soon as she reached the Jalama checkpoint the officers rescinded the permit and updated her on the ban. Over one-third of Palestinian prisoners’ families in Israeli jails are prevented from visiting their relatives under the security pretext. Meanwhile, Palestinian detainee Ayyad al-Hreimi suspended his open-ended hunger strike on Tuesday evening following a deal with the Israeli prison service (IPS). Al-Hreimi ended his hunger strike after the IPS promised to renew his detention once only and for four months. Al-Hreimi announced his hunger strike on July 16 in protest at administrative detention. The prisoners’ health has remarkably exacerbated following 45 days of ongoing starvation in Israeli lock-ups, where he has reportedly lost 25 kilograms of his overall weight and lost his ability to speak. Recently blood figured in his urine. Three detainees—brothers Muhammad and Mahmoud al-Balboul along with Malek al-Kadhi—continue their hunger strike in Israeli jails in protest at administrative detention. 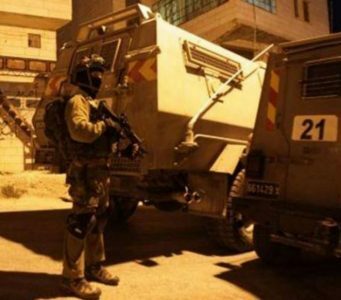 A number of Israeli military jeeps invaded, on Wednesday morning, the town of Beit Fajjar, south of the West Bank city of Bethlehem, and ‘Aida refugee camp, north of the city, searched homes and kidnapped three young men. 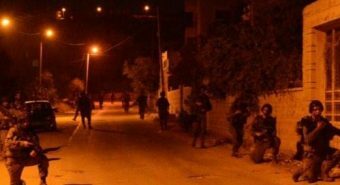 The soldiers surrounded Beit Fajjar town before invading it, conducted military searches of a number of homes and kidnapped one Palestinian. The Bethlehem office of the Palestinian Prisoners Society (PPS) said the kidnapped resident has been identified as Yousef Luay Thawabta, 20. The PPS added that the soldiers also invaded ‘Aida refugee camp, north of Bethlehem, searched and ransacked homes, and kidnapped two Palestinians identified as Mohammad Hamza al-Kurdi, 19, and Mohammad As’ad al-Masa’eed, 19. The three kidnapped Palestinians were cuffed and blindfolded, before the soldiers moved them to the Etzion military base, south of Bethlehem. The PPS said the soldiers invaded several towns in the southern West Bank district of Hebron, violently searched homes and kidnapped nine Palestinians, including children. The kidnapped have been identified as Waseem Ibrahim Mohammad Bahar, 16, Mohammad Ibrahim Ali Abu Mariya, 17, Anan Sidqy Mohammad Ekhlayyel, 17, Ismael Shaher Rayyan, Husam Ahmad Makhamra, Hani Mkheimer Makhamra, Fahd Issa Awad, Ezzeddin Masalma and Ziad Eqab Nawaj’a, 40. The soldiers also invaded the central West Bank district of Ramallah and al-Biereh, searched many homes and kidnapped Abdul-Salam Fahim ‘Aabed, 28, Mousa No’man ‘Aassi, 48, and his brother Nayef, 50. In Tulkarem, in the northern part of the West Bank, the soldiers kidnapped two siblings, identified as Bilal Kamel Ahmad, 25, and his brother Tamer, 22, from their home in Thannaba area. In Jenin, also in the northern part of the West Bank, the soldiers kidnapped one Palestinian, identified as Noureddin Ibrahim Qararya. In addition, the army invaded the al-Far’a refugee camp, in the West Bank district of Tubas, searched a number of homes and kidnapped three Palestinians, identified as Abdullah Odeh, Saher Abdullah Odeh, 23, and his brother Hamza, 27. In Occupied Jerusalem, the soldiers kidnapped three teenagers, identified as Laith Abed-Rabbo, 17, Bilal Hroub, 17, and Mofeed Sa’ida, 17. Israeli soldiers have kidnapped, on Tuesday at dawn, fifteen Palestinians after invading and violently searching their homes, in various districts in the occupied West Bank, and one Palestinian after stopping him on a military roadblock, near Jerusalem. In Hebron district, in the southern part of the occupied West Bank, the soldiers invaded and ransacked many homes, and kidnapped seven Palestinians, three of them from Beit Ummar town, north of Hebron, identified as Mohammad Abu Mariya, 15, Waseem Bahar, 16, Anan Ekhlayyel, 22. The soldiers also kidnapped Ezzeddin Masalma, from Beit ‘Awwa town, west of Hebron, in addition to Husam Ahmad Makhamra, ‘Aani Ismael Makhamra, from Yatta town, south of Hebron. 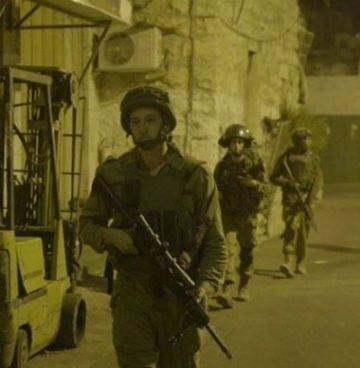 In addition, soldiers stationed at the Container roadblock, east of occupied Jerusalem, stopped a young man, identified as Ismael Shaher Rayyan, from Doura town, south of Hebron, and kidnapped him. In the central West Bank district of Ramallah, the soldiers invaded the al-Am’ari refugee camp, searched homes and kidnapped Abdul-Salam Faheem ‘Aabed. In addition, the army invaded the al-Far’a refugee camp, in the West Bank district of Tubas, searched a number of homes and kidnapped three Palestinians, identified as Abdullah Odeh, Saher Abdullah Odeh and Hamza Abdullah Odeh. Another Palestinian, identified as Hamada Abdul-Wahab Abdullah, was kidnapped from his home in Deir Ballout town, near Salfit. The soldiers also kidnapped Noureddin Ibrahim Qararya, from the al-Fandaqumiya village, after stopping him at the Barta’a military roadblock, southwest of Jenin, in the northern part of the West Bank. The Israeli occupation forces (IOF) at dawn Tuesday kidnapped two Palestinian brothers near Tubas city after they subjected their father to exhaustive questioning. 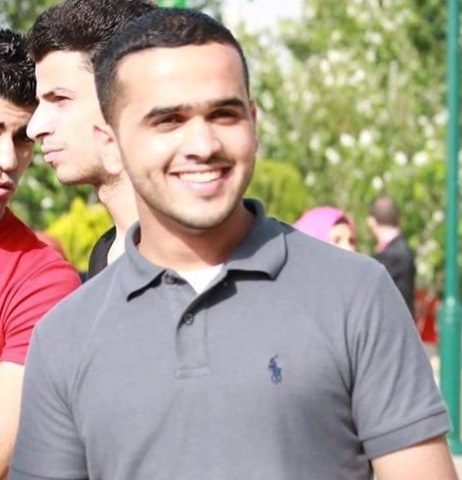 Palestinian citizen Abdullah Awdeh said an Israeli army troop kidnapped his sons Hamza, 25, and Saher, 23, and dragged them to an unidentified destination. The IOF rolled into the family home after they blew up its entrance gates and wreaked havoc on it. The father added that an Israeli occupation officer ordered him to turn his third son Thaer, 20, in to police. The father said he was subjected to exhaustive interrogation and that the IOF threatened other assaults on the family and their home in case Thaer does not turn himself in. Clashes burst out shortly after the IOF broke into the camp and attacked Palestinian civilians with teargas canisters and rubber bullets, resulting in several suffocation cases. A campaign launched by the occupation troops at dawn time across the occupied West Bank culminated in the abduction of 16 civilians. Israeli soldiers invaded, on Tuesday at dawn, several Palestinian communities in different parts of the southern West Bank district of Hebron, searched many homes and kidnapped seven Palestinians. Mohammad Awad, the media spokesperson of the Popular Committee in Beit Ummar town, north of Hebron, said the soldiers invaded the al-Qarn, al-Bayyada and al-Batn areas, broke into and searched homes and kidnapped three teenagers. Awad said the kidnapped teens have been identified as Waseem Ibrahim Mohammad Bahar, 16, Mohammad Ibrahim Ali Abu Mariya, 17, and Anan Sidqy Mohammad Ekhlayyel, 17. They were taken to the Etzion military base, north of Hebron. He added that the soldiers have kidnapped seventeen Palestinians from Beit Ummar, since the beginning of this month. 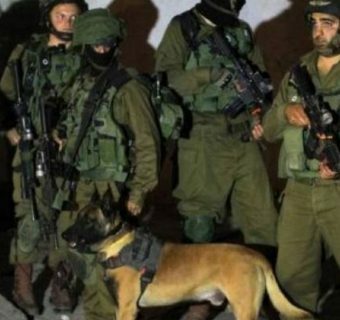 Furthermore, the soldiers invaded Yatta town, south of Hebron, searched and ransacked many homes and kidnapped three Palestinians, identified as Husam Ahmad Makhamra, Hani Mkheimer Makhamra and Fahd Issam Mohammad Awad. The soldiers also invaded the homes of two detainees, identified as Mohammad Mousa Makhamra and Younis Ayesh Zein, and violently searched them. Israeli soldiers kidnapped, on Tuesday at dawn, three Palestinians in the northern West Bank districts of Tulkarem and Jenin, and took them to nearby military camps. The Tulkarem office of the Palestinian Prisoners Society (PPS) said the soldiers invaded Thannaba area, east of Tulkarem, searched homes and kidnapped Bilal Kamel Ahmad, 25, and his brother, Tamer, 22. In addition, the soldiers kidnapped a young man from the al-Fandaqumiya village, after stopping him at the Barta’a military roadblock, southwest of Jenin, in the northern part of the West Bank. The Jenin office of the PPS said the soldiers kidnapped Noureddin Ibrahim Qararya, after detaining him at the roadblock for several hours.